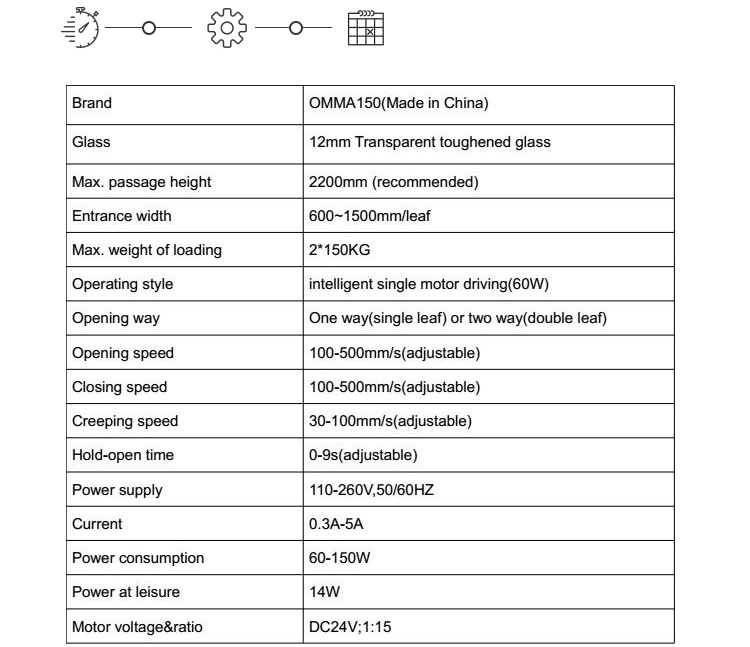 Mei Shun's automatic aluminum alloy door is a new type of metal automatic door, which consists of three parts of aluminum alloy profile, glass door structure and automatic door control system. The automatic aluminum alloy door has the advantages of novel appearance, exquisite structure, small operation noise, flexible start, reliable and energy saving. 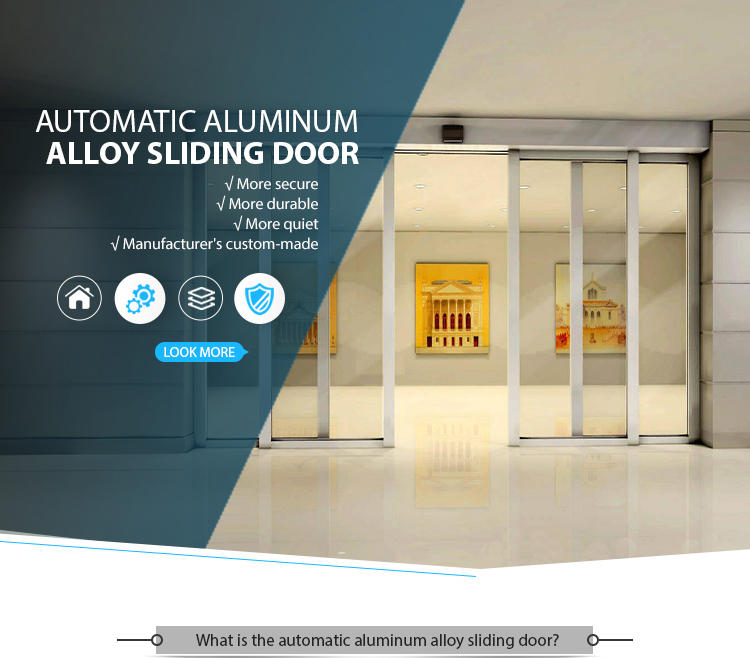 The automatic aluminum alloy door is suitable for the opening and closing of building facilities such as advanced hotels, restaurants, buildings, hospitals, terminal buildings, stations, shopping malls, shops, office buildings, advanced purification plants, computer rooms, etc. 1. 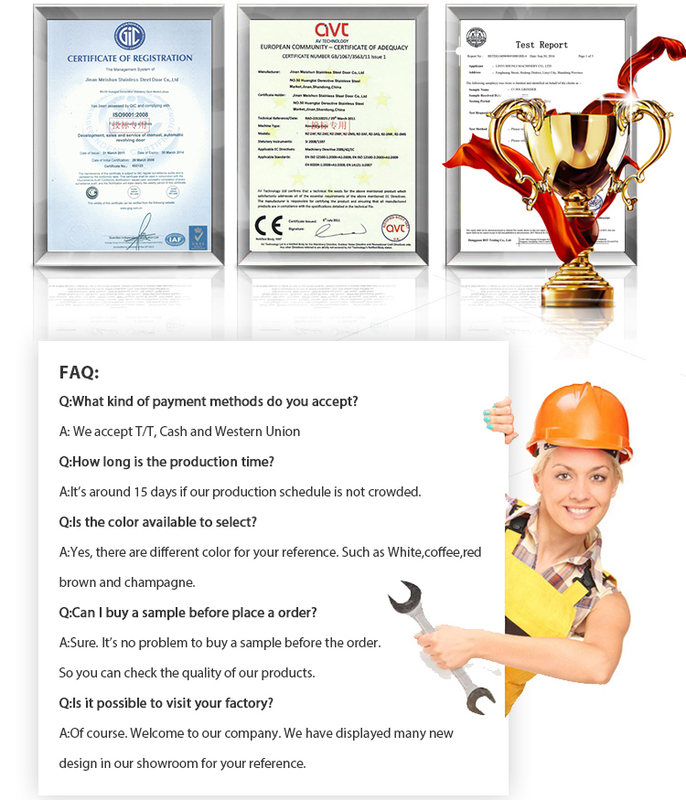 Universality: it is suitable for office buildings, storefronts, banks, factories, restaurants, hotels, shopping centers, laboratories, hospitals and other occasions, so as to ensure the smooth and unimpeded walking and delivery of goods. 2. 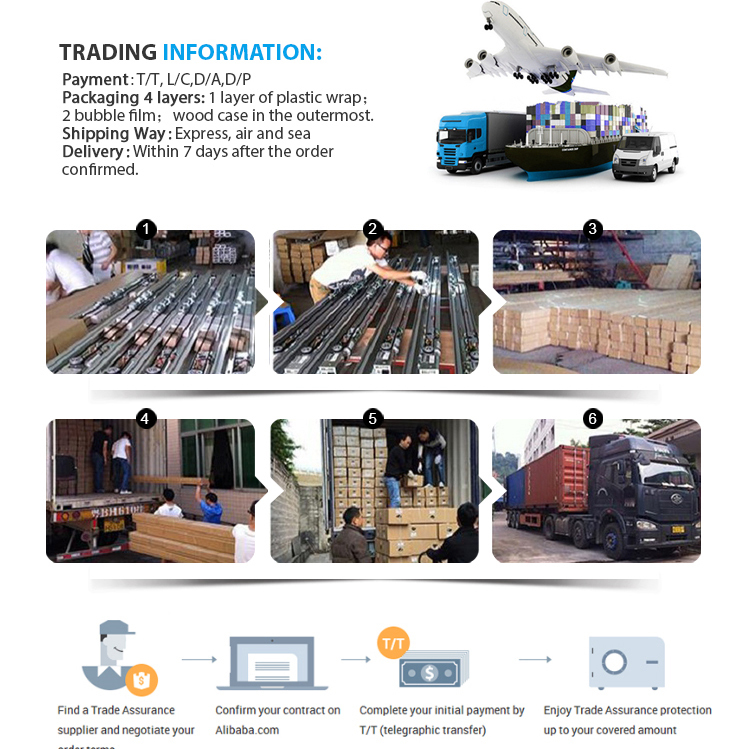 Reliability: with the use of remote control, can reach the limit of personnel import and export, you can exclude the security of your unlocked door. 3. 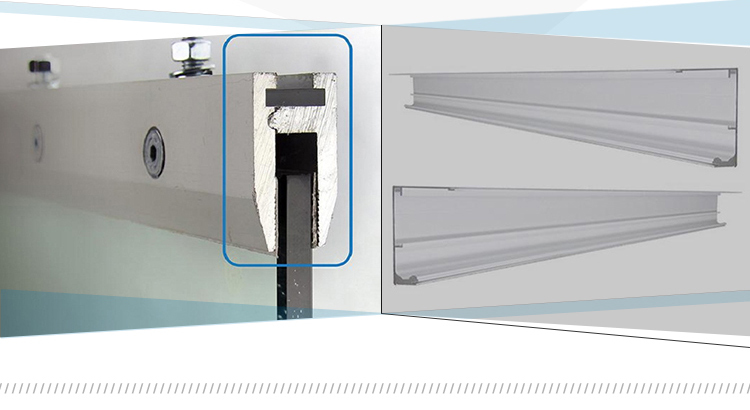 Safety: when the door is closed for the fan, if encounter obstacles or abnormal conditions such as human body, the door leaf can be immediately returned to prevent the occurrence of clamping reversal, events or mechanical damage phenomenon, to ensure staff safety. 4. Intelligence: every time you start the machine, there will be self checking program. The microcomputer controller will record the location of the last obstacle. When the door leaf is closed, it can be detected in advance and slow to detect safety when approaching obstacles, so as to ensure safety. 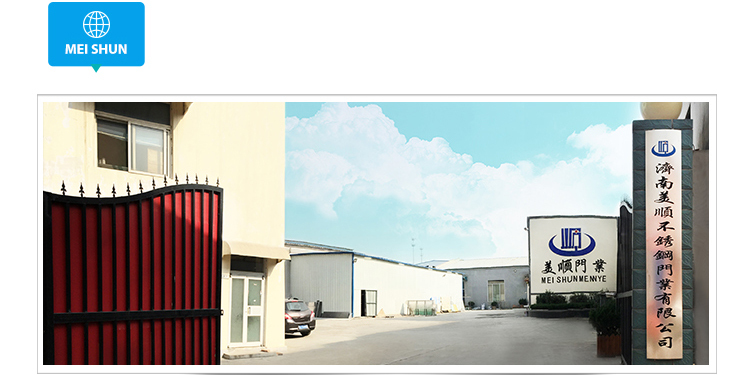 5.Energy saving: high quality design and production ensures smooth flow and excellent sound insulation, heat insulation and dustproof effect ensure the building to reduce energy consumption. 6. 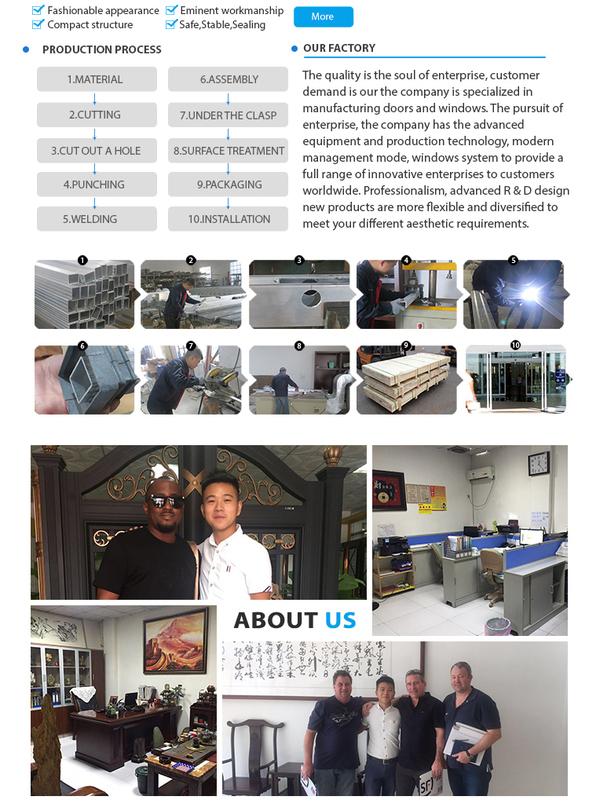 Aesthetics: According to your request, the door shape, appearance, function design adjustment, in order to achieve better results. 7. 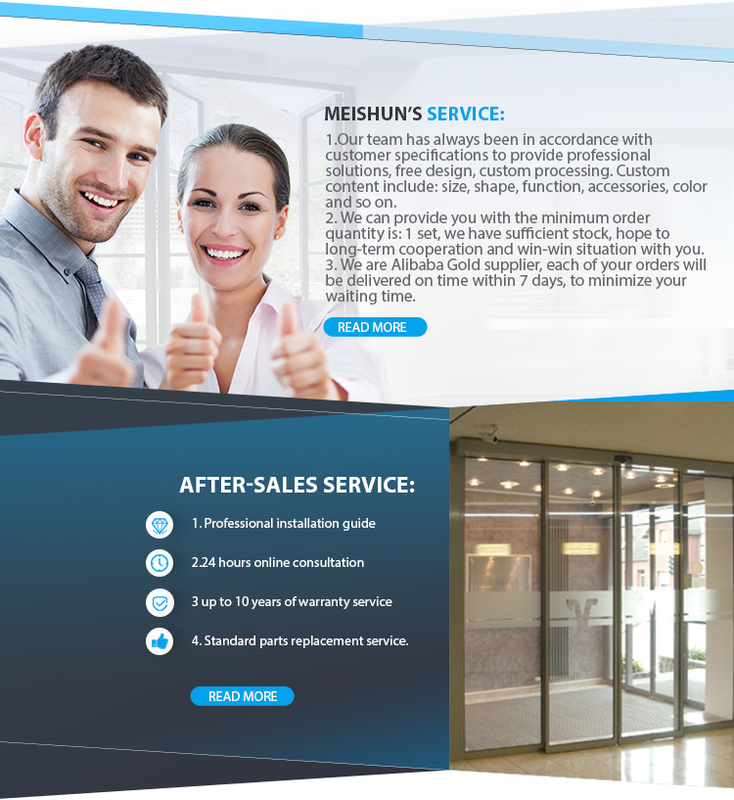 Convenience:According to your needs, you can choose a variety of working conditions, such as constant opening, automatic, one-way traffic and lock door.key parameter adjustment way, so you can according to the specific circumstances of the door body, conveniently set up and adjust the opening speed, closing speed, hold open time, keep the door body running smoothly. 8.Quiet:Using a special lubrication measures, special reducer; specially designed spreader roller structure, greatly reducing the operating noise. Meishun’s automatic door frame with high quality 3MM thickened aluminum profiles, full transparent thick double glazing, smooth and clear. 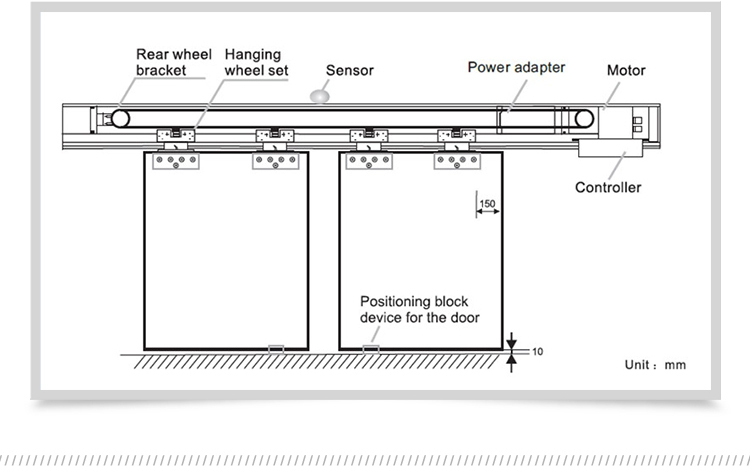 We use premium manufacturer’s controller motor , excellent program to provide more secure control. 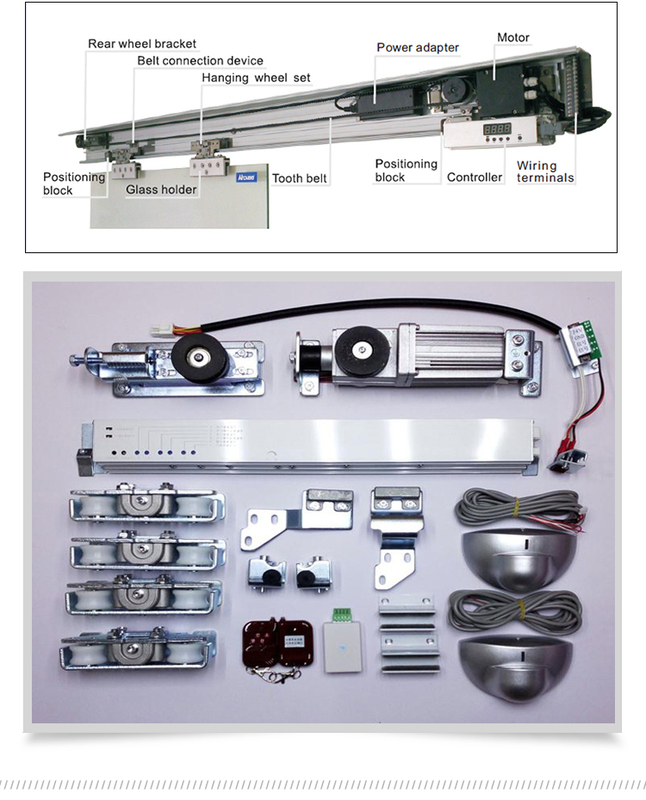 Customers can customize the corresponding automatic door accessories according to the functional requirements, all of our accessories come from the top suppliers in the industry and provide the corresponding warranty service. 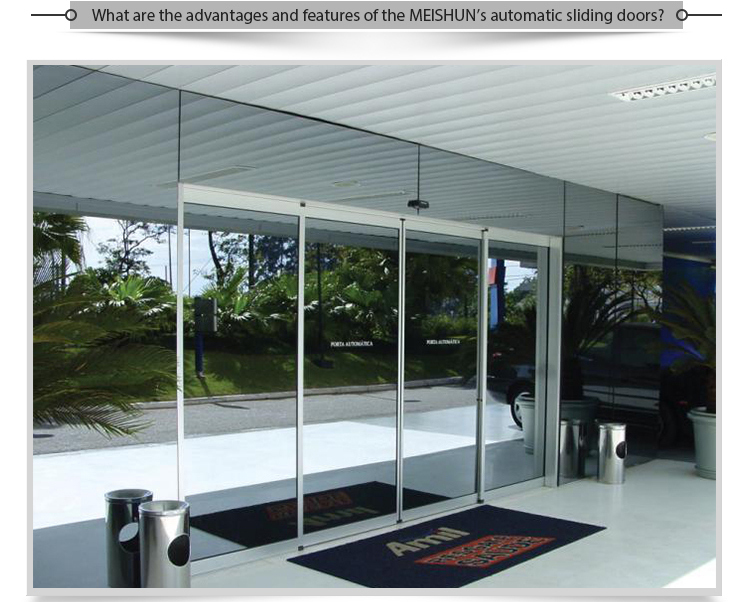 4.The automatic sliding door provides two options for one side or two side open mode to fully meet the customer's needs.